ALL THE TIME GOD IS GOOD! : Understanding Grace: Does Radical Grace Ignore or dismiss the Scripture as invalid or errant? Understanding Grace: Does Radical Grace Ignore or dismiss the Scripture as invalid or errant? We've been in a series on understanding God's amazing Grace. Up to now we have seen that by His Grace we always have free access to fellowship with our Father. That we are forgiven eternally. We have seen how we are forever secure in His hands. I sensed strongly to continue dispelling the myths often associated with Radical Grace. Today I am impressed to topple yet another myth linked with those who minister God's extravagant Grace. Too often we are accused of disregarding God's Word when we proclaim the good news. Is this a honest assessment of Radical Grace ministers? In order to answer this allow me to elaborate what makes up a Radical Grace preacher. There are many "voices in the wind" so to speak. Many are vying for our ears, for our attention, some even for our devotion. We must first discern these "voices" and their source. In the Body of Christ we have many proclaiming what they sense is good news. They begin with God's Grace but progress into works and performance. Their love for what they see as truth overrides any mercy or grace. Sadly, these "truths" that many cling to is nothing more than the traditions of men. Their source is the traditions they have embraced. They use the Scripture as a weapon. They beat the sheep into submission. There is no freedom and liberty in Christ. The Word of God is wielded to strike fear and anxiety in the minds of God's people. I have also seen those who utilize Scripture to seek gain. I categorize these with performance driven preachers for a reason. These are the ministers who promise that, by opening your wallet or check book to them, you will receive untold riches and everlasting abundance. These alleged promises are nothing more than "lottery ticket" messages that are beyond the truth of Scripture. I absolutely believe we have a good, good Daddy God. He wants to pour His abundant love and mercy and goodness out upon us. Certainly He blesses His Church, His children. That said, He never promised or guaranteed we would be millionaires or live in mansions. Now what are these "ministers" to do when the people aren't walking in the foretold wealth? This is when Law and performance is there to "rescue" these ministers. They are quick to revert to preaching a performance driven faith so as to explain why people aren't receiving what they promised. The other voice we must discern is those of the foolish. These are the "ministers" or bloggers or "Facebook theologians" who mainly desire a following to validate them. The Scripture is useless to them unless they can distort it to promote some erroneous views. These are those who don't tear down religious traditional strongholds. They don't build up either, because again, their following is what is paramount. What they actually do is simply tear up. They tear up other ministries. They tear up the authority of Scriptures if it disagrees with their latest philosophy. They tear up relationships. Error always shipwrecks people's joy and hope and peace. Thank the Lord His Word spoken in truth always brings restoration. Now that we have discerned the wrong voices lets hear the true voices. Radical Grace embraces God's Word as the final authority. It is God's Word that reveals to us who God is to us. It is the Word that reveals we have a good Father who always loves us. It is the Word of God that reveals the Finished Work. The Word is what anchors our soul when contrary thoughts come to us. Radical Grace doesn't dismiss the Scriptures. The legalist doesn't rightly divide the Word. The foolish disregard the Word. Radical Grace embraces the Word. The Word is what reveals to us this majestic Radical Grace. Jesus is Grace. Jesus is the Word made flesh. The Word and Grace are one! The Word equips us because it assures and anchors us in the truth of our redemption in Christ. It reminds us the work is accomplished. Jesus finished it at the Cross. We cannot add to our salvation. The Word reveals we are completely forgiven. The Word reveals we have been made the righteousness of God in Christ. It is simply false accusation to say Radical Grace dismisses the Word. 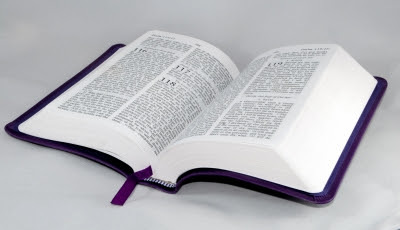 We hold the Word in high esteem for in its pages reveal to us our complete redemption and acceptance with our Father. Be refreshed as you search the Scriptures and discover rich truths about our redemption.